Reintroducing this soft favourite! 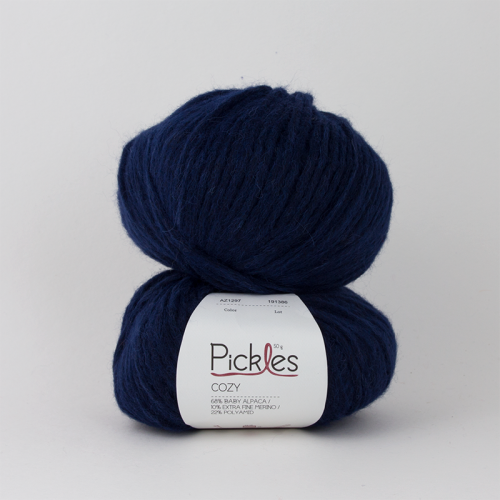 Pickles Cozy is now produced in Peru. It will feel a bit thicker than the quality we used to stock and has much better hold. This yarn has a natural look and an extraordinary softness. It invites you to knit cozy, warming garments. In addition the yarn also is super light, and suitable for everything from hats to long coats.